One of the most devastating and live changing injuries resulting from a motorcycle accident is a spinal injury. The spinal cord controls communication of the brain with the rest of the body, and any injury to the spine can cause permanent damage, leading to paralysis. Spinal injuries can be classified into complete or incomplete injuries based on whether or not the brain is still able to communicate with the rest of the body. A complete spinal injury severs communication and leads to loss of sensory and motor function below the site of injury. In case of an incomplete spinal injury, the patient may not lose all functions completely. Spinal injuries caused by motorcycle accidents can damage the fibers and pathways that carry the communication from the brain. A motorcyclist who suffers a spinal injury may have serious long-term medical problems such as bowl dysfunction and osteoporosis. The cervical region begins at the base of the skull and is comprised of eight vertebrae. The most serious cervical spine injury can lead to quadriplegia, paralysis from the neck down. These injuries may also cause a variety of other medical conditions such as loss of sensation, bladder and bowel dysfunction, and respiratory problems. The thoracic region begins where the cervical region ends. This region contains twelve vertebrae. It is not common for thoracic spine injuries to occur in motorcycle accidents as this region is well protected by the rib cage. In case of a thoracic spine injury, the victim may suffer paraplegia. Right below the thoracic region is the lumbar region of the spine and contains five vertebrae. Such injuries often lead to paraplegia. Lumbar spine injuries often require surgical treatment. This is the last section of the spine and contains five vertebrae. An injury to the sacral spine region causes loss of bowel and bladder dysfunction. The injured motorcyclist may experience weakness or paralysis of the hips and legs. 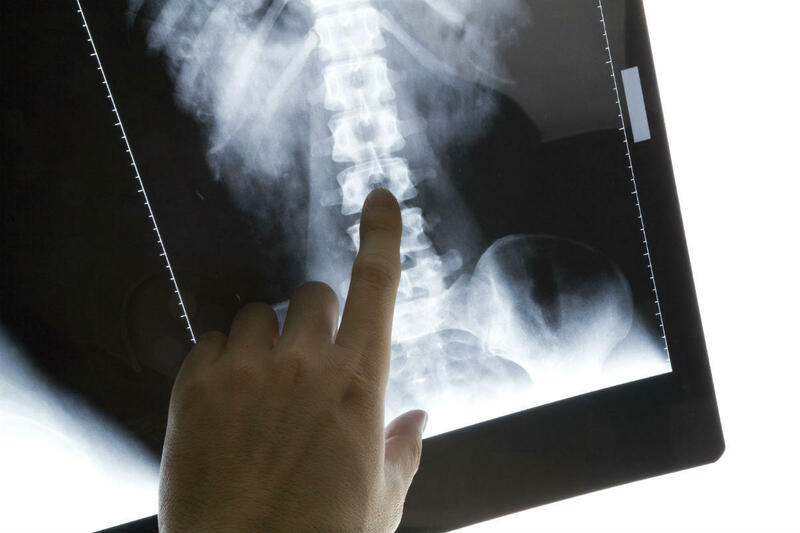 Spinal injuries often require long and extensive treatment. An injured motorcyclist may have to undergo surgery and spend extended time in the hospital to recover. Lifelong support and medical care may be required. If a motorcycle accident has led to a spinal injury and was caused by another person’s negligence, contact a St. Louis motorcycle accident attorney from The Hoffmann Law Firm, L.L.C. You may be able to claim compensation from the responsible party. Call us today at (314) 361-4242.